Greetings from Manila – we are in episode 37 of Ecommerce Gladiator and we are in the middle of July. It is a shorter one, as I am squeezing this in at a hotel in Manila, Philippines between team building and workshops here, we talk about some of the tools we have learned about and optimizations we have been making to the Amazon listing for the moka pot, enjoy. We learned a lot from last ecommerce gladiator’s episode where Zack Franklin was grilling us with information. Roland has been working with our photo editor Darko and optimizing some of the images. We have used some tools from Zack’s tips but also some more direct and simple ones Roland likes. One of our GFA VIP members David Hehenberger stepped up and offered Landing Cube SaaS product for some improved ways (in response to my emailing our newsletter with a Facebook share link). We are having Thomas from Landing Cube help out with Facebook ads and still have an auto-campaign going for Amazon on the moka pot. So we were approved for brand registry but there is still some delays in the full process. Roland explains about 7 day wait time, as well as some rejections from Amazon about what we say on brand registry images. Mike clarifies with Roland what exactly do sellers get with an enhanced brand content listing. Roland explains about the image text and other benefits. Roland and Mike wrap things up but also ask to hear from you! What questions or input do you have – please reach out. There we go – thanks Roland for being in the arena with the company – we are pushing ahead with the listing, taking it step by step. And thank you for the community for your input and help – but we would love to hear more! 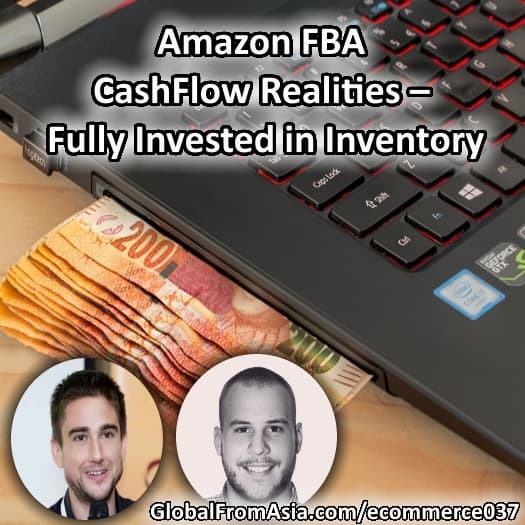 I’ll be in Thailand when this show goes live, and I know a ton of FBA sellers are there too so I am excited to get more input as I move on this 4 leg journey with my wife going from Manila, Philippines to Chiang Mai, Thailand.